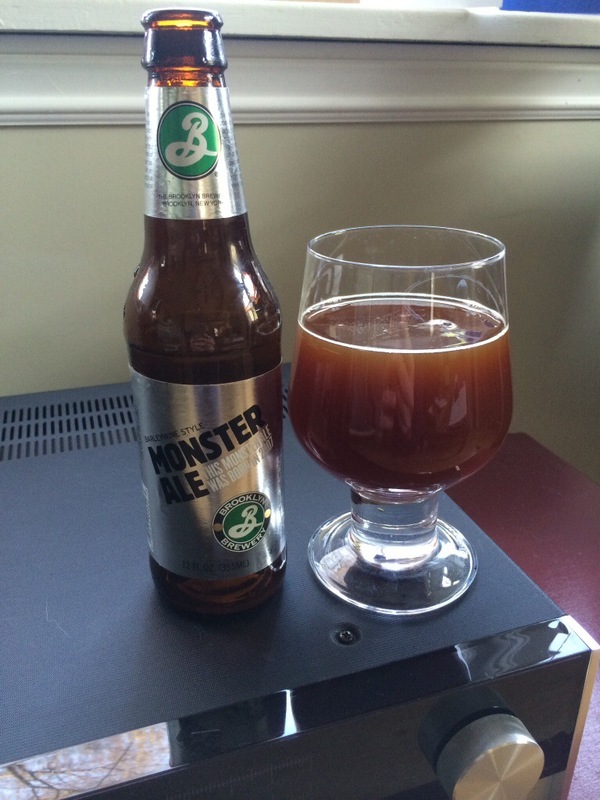 Coming out of the cellar this time is a behemoth barley wine from Brooklyn, Monster Ale. Born in 2007, this ale weighs in at 10.1% but after a few years in the cellar it is probably going to taste much, much bigger! Monster Ale pours a murky chestnut brown with little to no head and just the most minimal ring around the glass. Lots of heavy malt on the nose. As the nose implies a very malt forward beer, barely medium bodied and slightly sticky, with caramel, leather and oaky flavours as well. The finish is bittered the sweet. Not as boozy as I expected but it does become more warming as you drink. 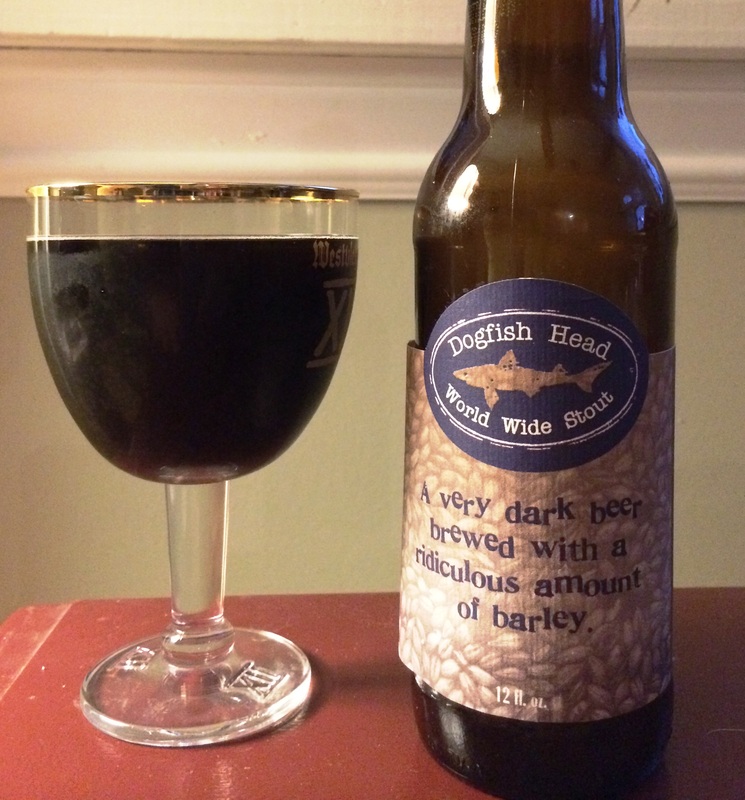 A deceptive barley wine as it is easy to drink but the ABV does pack a wallop so sip, sip, pause not chug, chug, chug. Overall a consistent and safe choice for your cellar. A pleasant side effect of all this craft beer cellaring is the rise of the vertical tasting. For the uninitiated, vertical tastings comprise of the same beer brewed in different years sampled at the same time so you can try to discern the changes that have occurred over the course of cellaring. Small as my personal cellar is I do have a few beers aging that have different bottling dates including one of my personal favourites The Abyss from Deschutes Brewery. 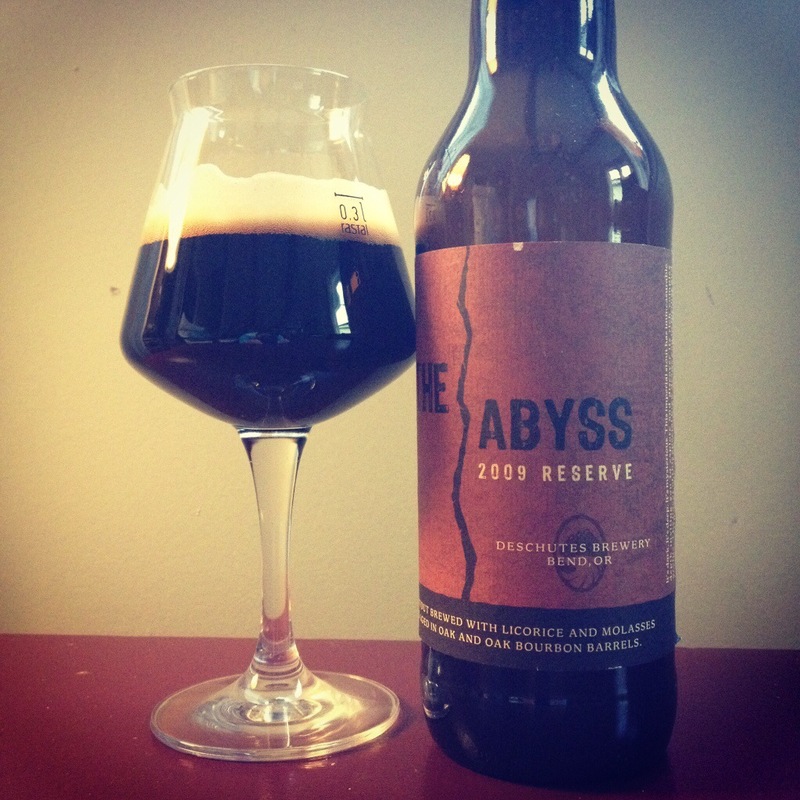 Though I doubt any self-respecting beer geek has not tried this beer just in case, The Abyss is a malt-forward, molasses heavy, rich and viscous Russian Imperial Stout that weighs in at a non-too-shabby 11.6% ABV. For our version of a vertical throw down the hubby and I compared a 2009 and a 2012 bottling. Pours deep black brown with lots of mocha coloured head on the pour then a light skim and ring. Smells very liquory with almost a wine like nose. First few sips are rich and malty but also a bit harsh with a twinge of metallic or astringency that I did not expect from this beer. A full bodied beer. Hubby got an almost sour quality on the nose. Could be a bad bottle, bad storage or a bad year. Not the Abyss I know and love anyway. In appearance the 2012 is pretty much identical to the 2009 perhaps with a bit more head on the initial pour. Liquory on the nose with lots of liquorice. First few sips are full-bodied with roasted malt and some alcohol. This beer is nice and warming as you drink. There is some bitterness on the finish. This bottle was far better than the 2009 but not nearly as good as The Abyss on tap at the brewery this winter. This time round I opened my May 2012 bottle of Conflux Series No. 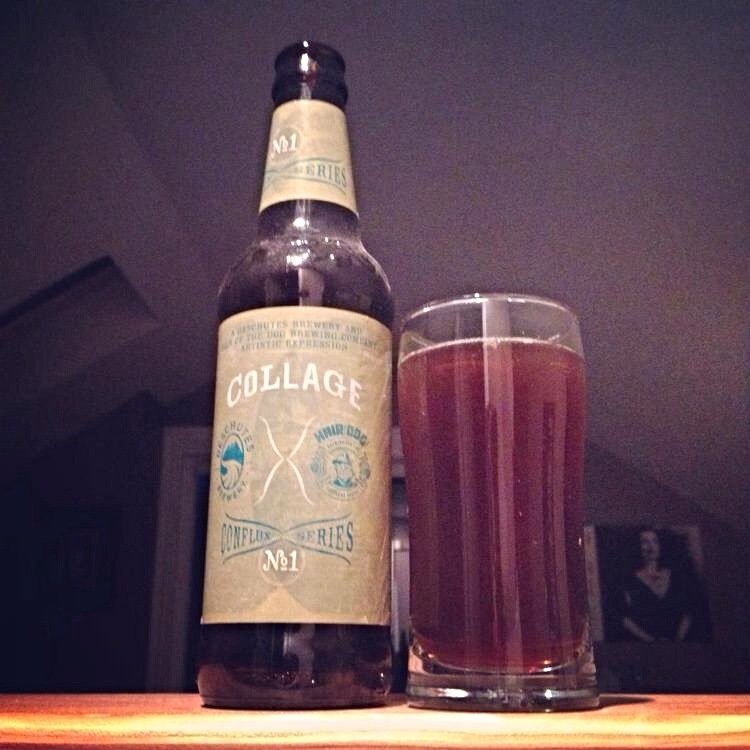 1 (Collage), a collaboration between two Portland OR brewery mainstays, Deschutes and Hair of The Dog. 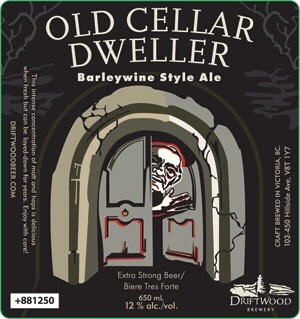 Described as a weaving of “The Dissident and The Stoic and Fred and Adam into an artistic collage of cask-aging alchemy” this 11.6% strong ale was a perfect candidate for cellaring. Conflux pours a slightly hazy copper colour with some off-white head that quickly dissipates to a thin skim and sticky lacing. There is good carbonation to this beer. Pretty liqoury on the nose with rich dense malt and dried red fruit. First few sips are viscous with lots of oaky character, sweet caramel and tart cherry flavour. As other reviewers have mentioned this beer, at this age, has a port like character. A really warming beer and the ABV has probably gone well beyond the 11.6% it started out with. There is a lot of complexity in this beer as it merges different styles, which works in its’ favour. As this beer opens up you get a slight funkiness and a bit of sour anchored in a medium bodied strong ale. The finish is slightly harsh with a burnt sweet taste. Overall, I really like this collaboration. I think these beer work well together creating something to challenge complacent palates. To honour the out of the ordinary weather inversion we were having here in Vancouver I thought it was time to pull another beer from the cellar; an added bonus of the cold weather at low elevations was I could chill this beer on my back porch! The Dissident, a Belgian-style brown ale, is a blend of 20% malt beverage aged in French oak wine and 80% malt beverage brewed with cherries. This 2012 version had a recommended best after date of 8/20/13 but I always like to give my beers a little longer to develop their full potential. 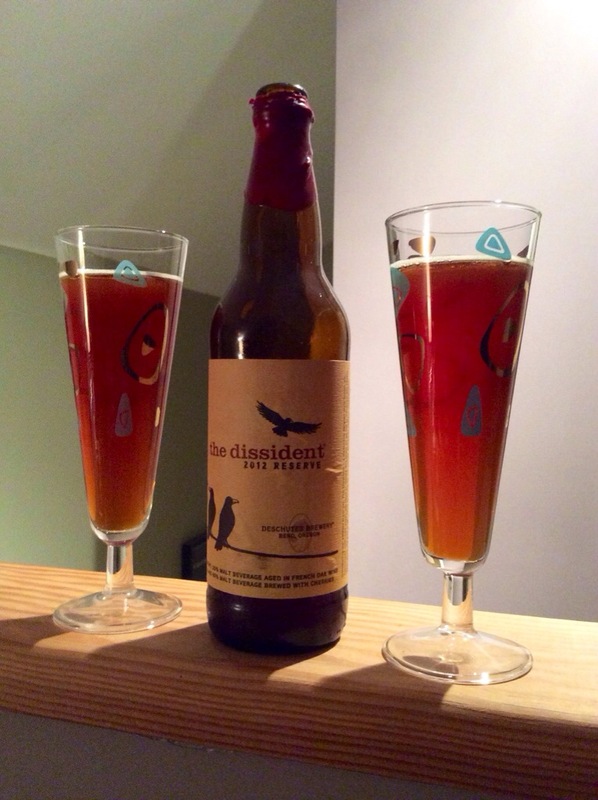 The Dissident pours a reddish maple syrup colour, with slight haziness, good carbonation and some light airy head on the initial pour. You are left with a nice ring of head around the glass after a few minutes. Big red wine character on the nose, dark fruit and leather, with lots of malt to boot. This beer has one of the most aromatic noses I have smelled on a beer. First few sips are viscous, lots of dried cherry flavour and syrupy caramel malt. This is a very warming beer that you can feel long after you swallow. As you continue to drink the oakiness comes through but malt and fruit are the key flavours competing for your attention. While I have heard this beer called a sour, more accurately it is a wild ale, there is no real tartness to speak of instead The Dissident reminds me of kirsch cherries, all boozy, rich and sweet. Overall yet another great beer from a brewery known for delivering consistently great beer. New Years Eve seemed like the perfect night to delve into the ol’ cellar for that oh so big beer you cannot figure out when exactly to drink. In my cellar that beer is one of my oldest residents a 2009 bottling of Fort from Dogfish Head Brewery, a strong ale brewed with raspberries. Fort pours a crystal clear rose gold colour with minimal white head that almost immediately turns to a thin lacing. All rotten raspberry on the nose, think overripe berries left in the sun not a bad smell just sweet with a touch of funk, and just a whiff of alcohol eluding to things to come. First sip is over the top liquor (in retrospect this one probably needs a bigger glass to breathe) with the vapours hitting you in the back of the throat before you swallow. After the initial shock this beer gives way to big fruit flavour, a slightly viscous mouthfeel and a warming finish. 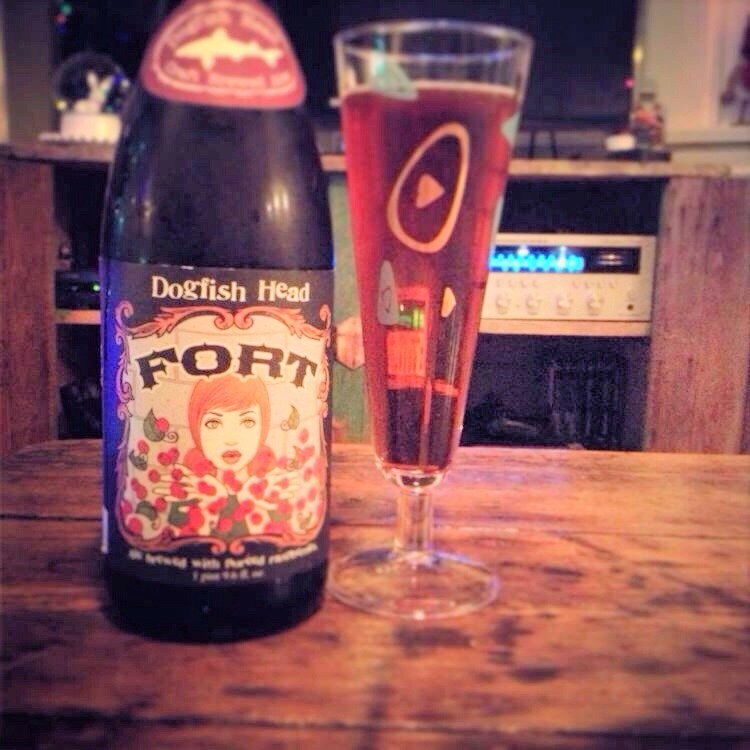 Fort is most definitely a sipper more in common with cordial than either beer or wine. 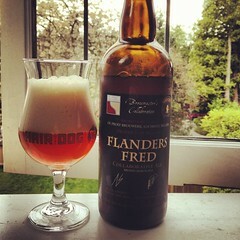 I have also had this beer sans aging and it still packed quite the punch even then. Do I regret aging my Fort? No, I think it adds character to this beer toning down the berry and bringing forward (and up) the alcohol content. Would I drink this on a regular basis? Hell no. Fort is special occasion only for me.